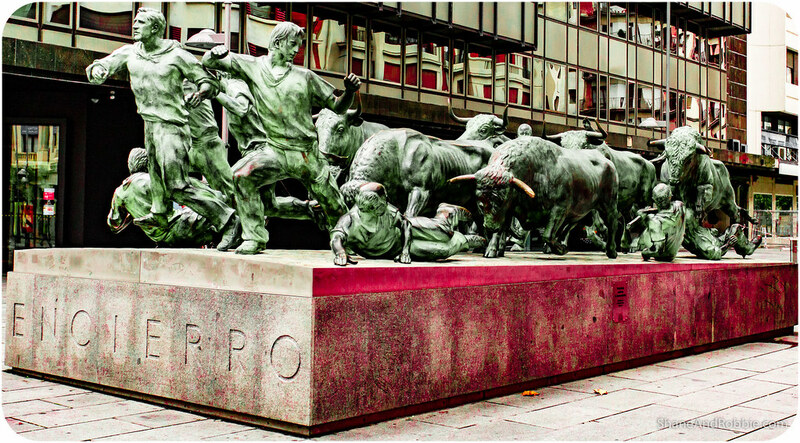 For most people Pamplona is synonymous with just one thing: bulls. More specifically, being chased by bulls during the annual Festival of San Fermin. We’re here a few months too late for the Running of the Bulls, as its known, but discovered that there’s way more to Pamplona than just that one cruel annual event. 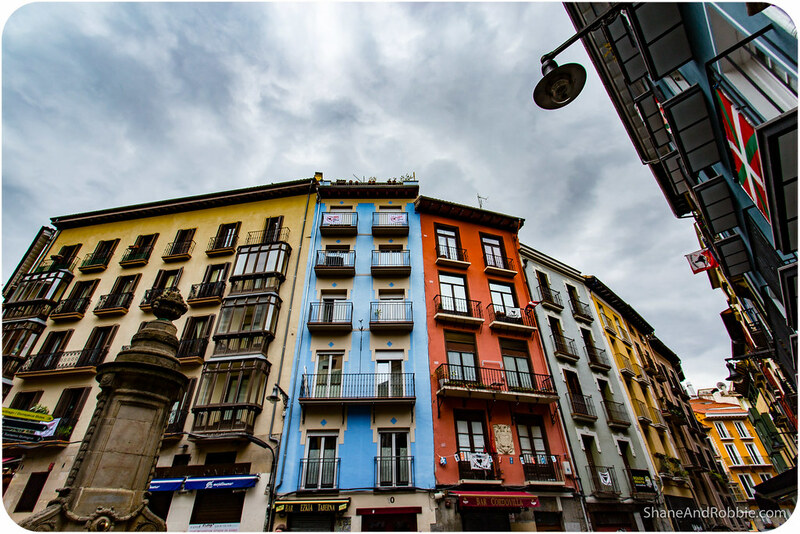 The Pamplona we explored today is a city of historical buildings, grand churches, and pilgrims. Surrounded by hills and mountains, it’s an unassuming town, but an easy one to get lost in and enjoy – at least for an afternoon. 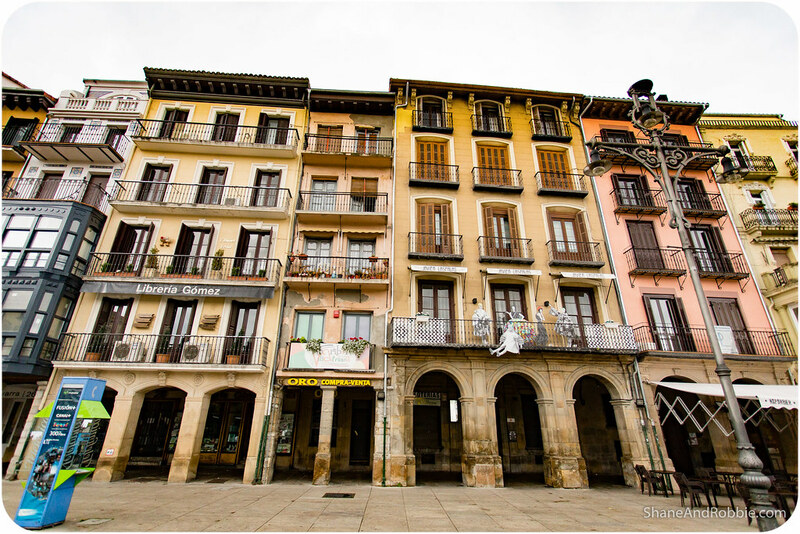 We arrived in Pamplona around noon, after a quick, easy train ride. After checking into our hotel, which is in the newer part of town near the train station, we walked along the banks of the River Arga towards the old town. 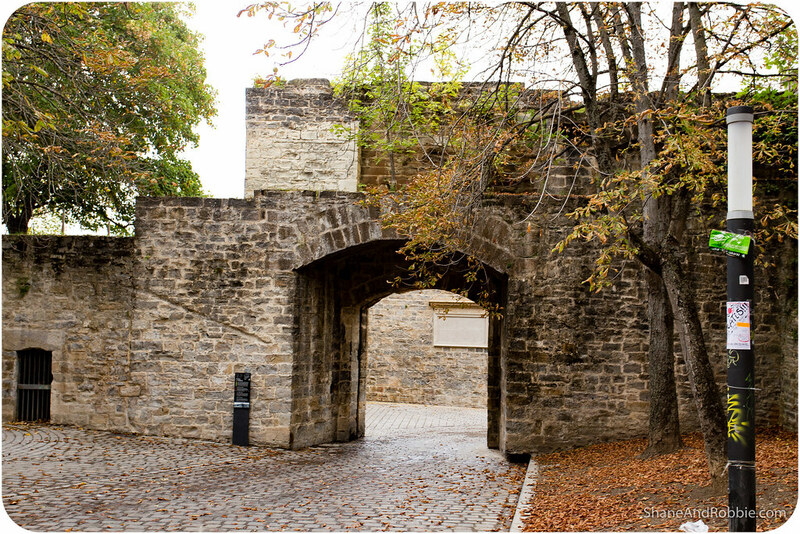 The colours of autumn were all around us as we reached the old city walls which, up until the late 20th century, still defined the boundaries of the town. 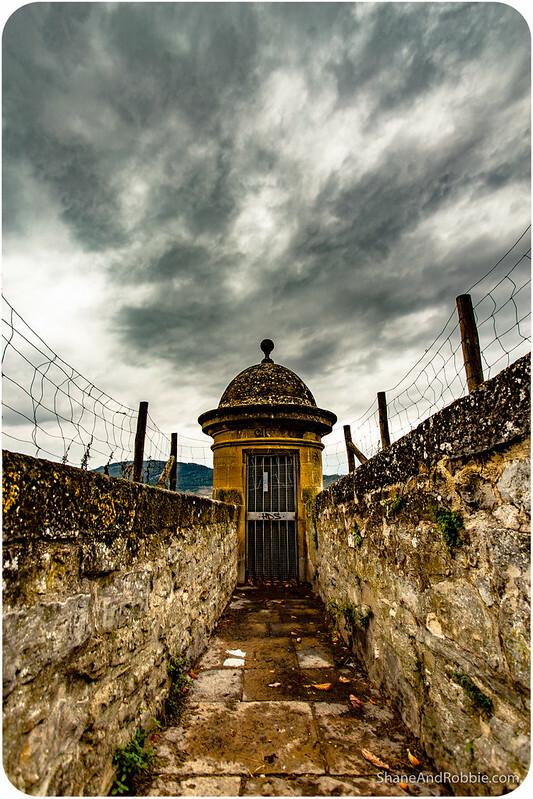 For many centuries Pamplona was a heavily fortified, virtually impenetrable city. In fact, it even began as a Roman fortress; in 75BC the Roman general Pompey established a citadel and named it Pomplaelo (after himself). 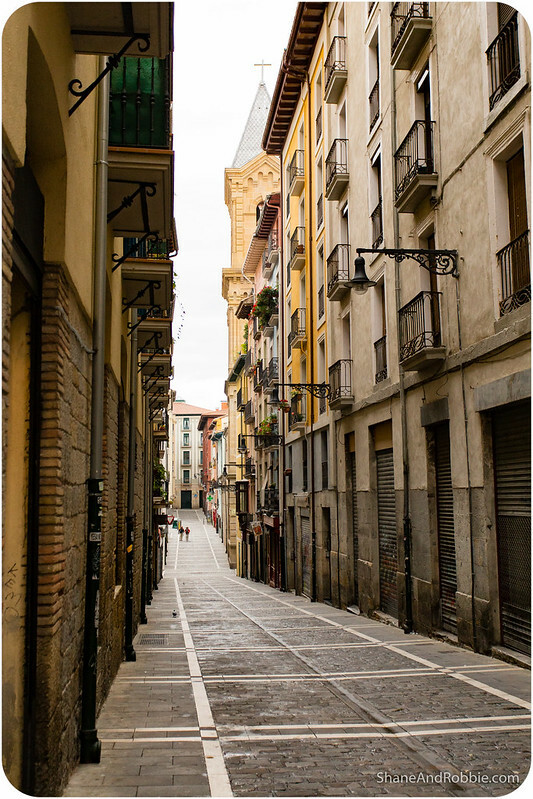 Over time the city came to be known as Pamplona and became the capital of the Medieval Kingdom of Navarre. 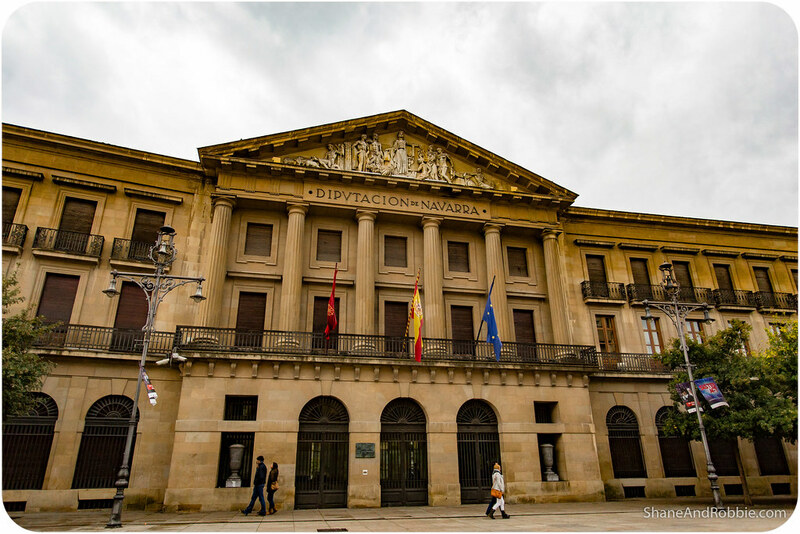 Even now, 500 years after being integrated into Spain, Pamplona retains its title and capital of the region of Navarra. The Kingdom of Navarre was a Basque nation, fiercely independent and quite unique – even their language is unique*. 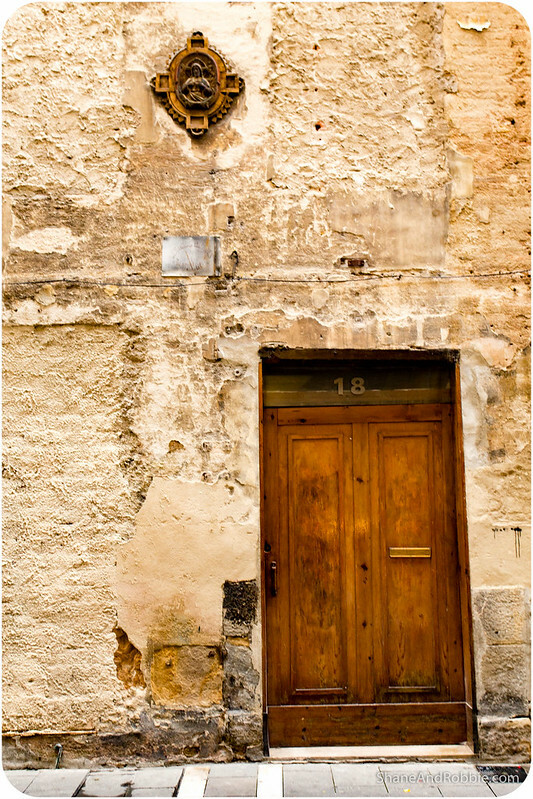 And Pamplona was the jewel in its crown and the city controlled access to one of the few passes that allowed access across the Pyrenees; this made the city both wealthy and strategically important. *Basque is still the official language of Navarre today, alongside Spanish. 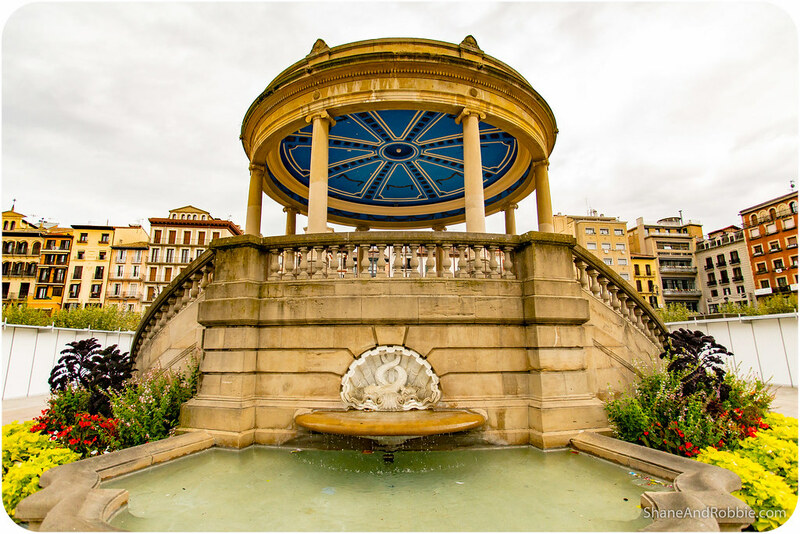 Despite its glorious past, Pamplona (called Iruña in Basque) today is a relatively small regional city in Spain, with just 200,000 inhabitants. The town had a quiet, sleepy air about it that made for an easy afternoon’s wandering. 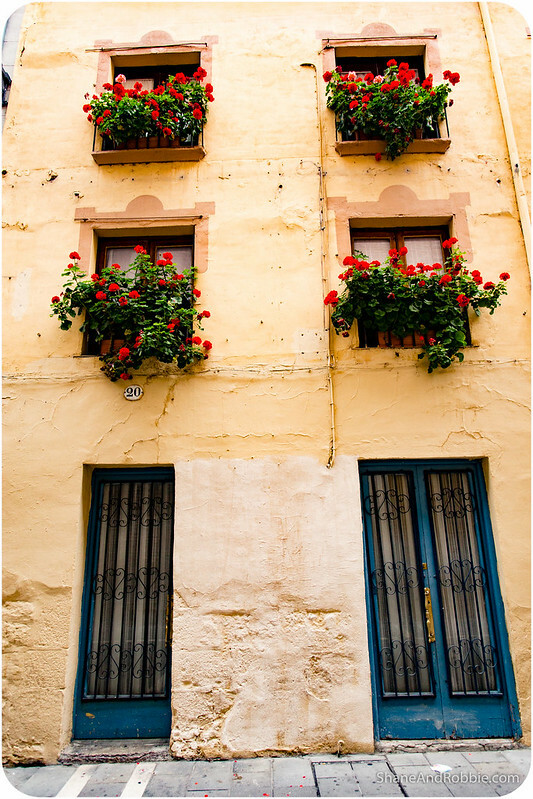 We spent all our time in the old town, which is perched on a hill overlooking the surrounding landscape. As with all Spanish towns, Pamlona also has its own grand cathedral – the Cathedral of Royal Saint Mary (Santa María la Real). The current 15th century Gothic church replaced an older Romanesque one and old the tombs of all the Medieval Kings of Navarre. 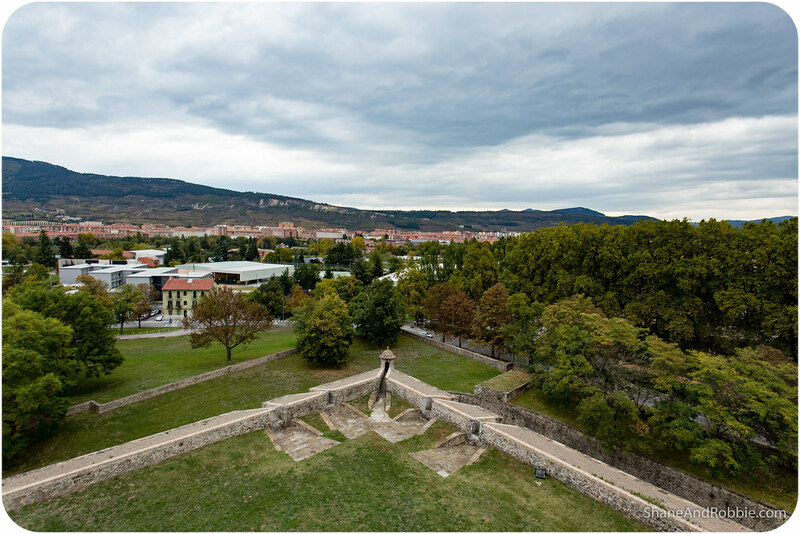 Thanks to its military past of Pamplona is still surrounded on 3 sides by multiple levels of thick defensive walls. The views from the walls were quite impressive, especially from Rincón del Caballo Blanco. 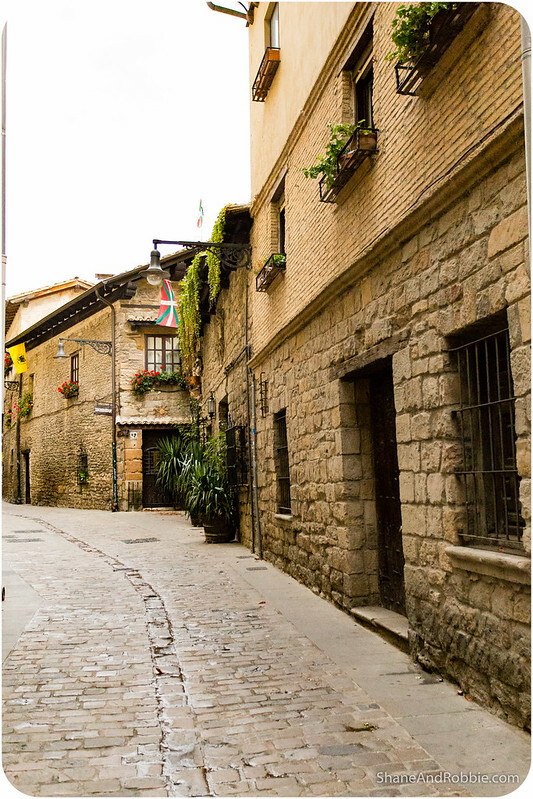 From there we strolled to the Plaza del Castillo, the heart of the old town. 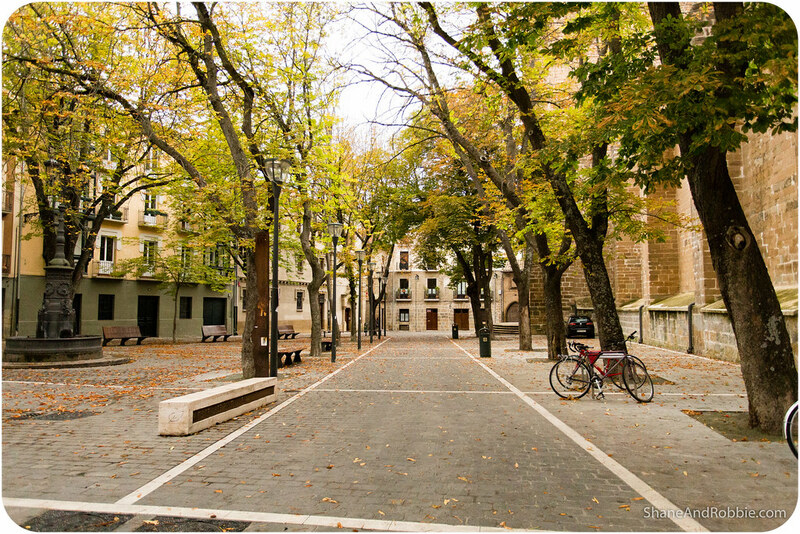 This huge square, once the site of a 14th century castle, is today encircled by benches, bike racks, carefully pruned trees and restaurants. 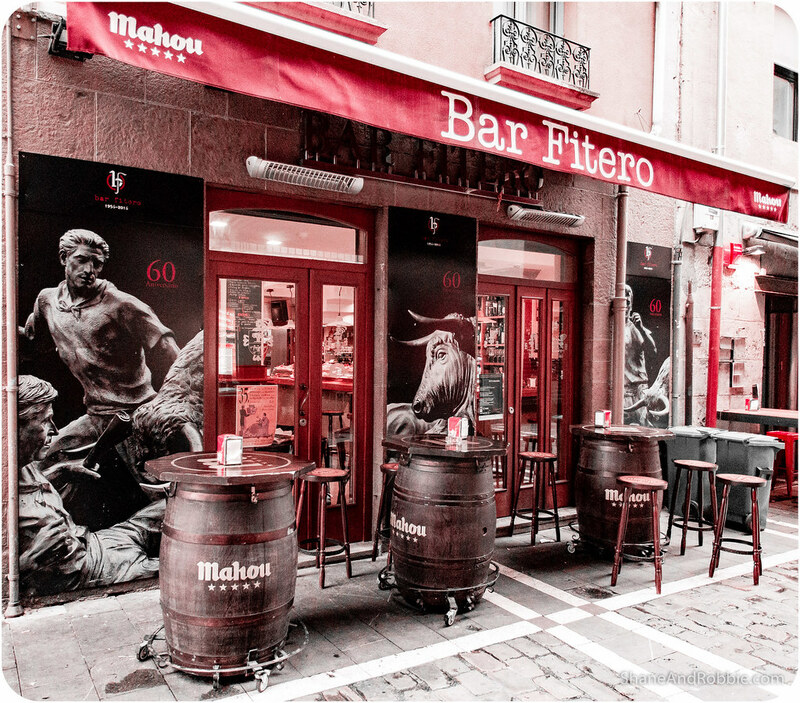 It was here we found Café Iruña, where Ernest Hemingway once mingled with the locals and had a drink…or two. 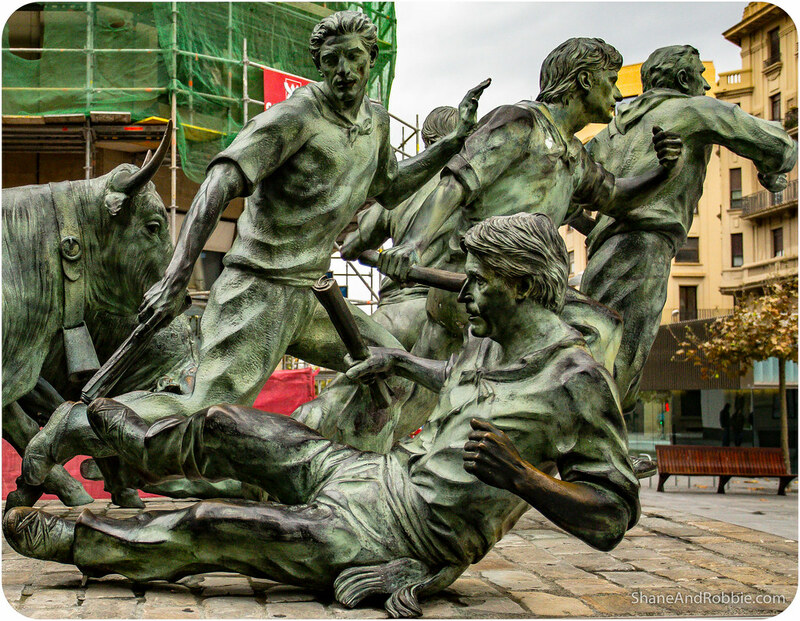 Ernest Hemingway is in many ways responsible for the modern, global popularity of Pamplona’s San Fermin Festival. It was Hemingway’s 1926 novel “The Sun Also Rises” that drew the English-speaking-world’s attention to this bloody celebration (the story tells of a group of friends torn apart by lust and drink amid the madness of the fiesta). 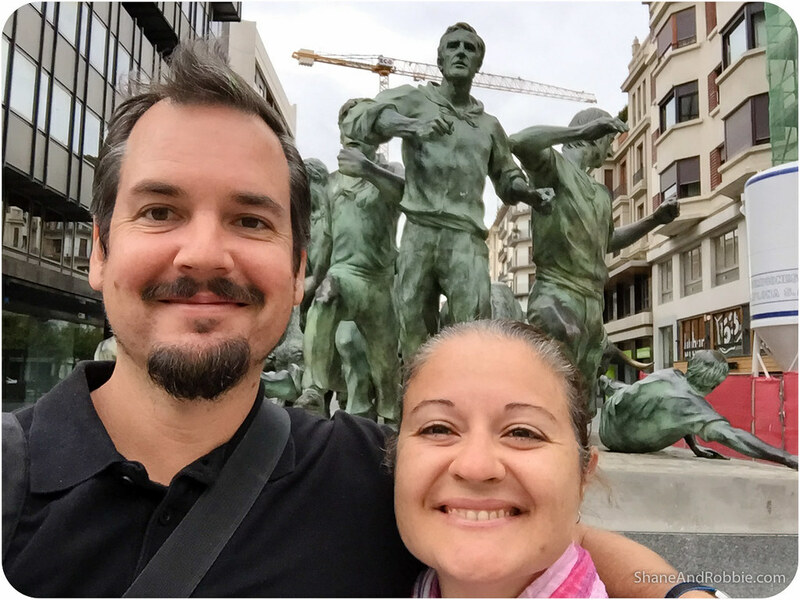 Thanks to Hemingway’s book over a million people descend on Pamplona very year during that week. 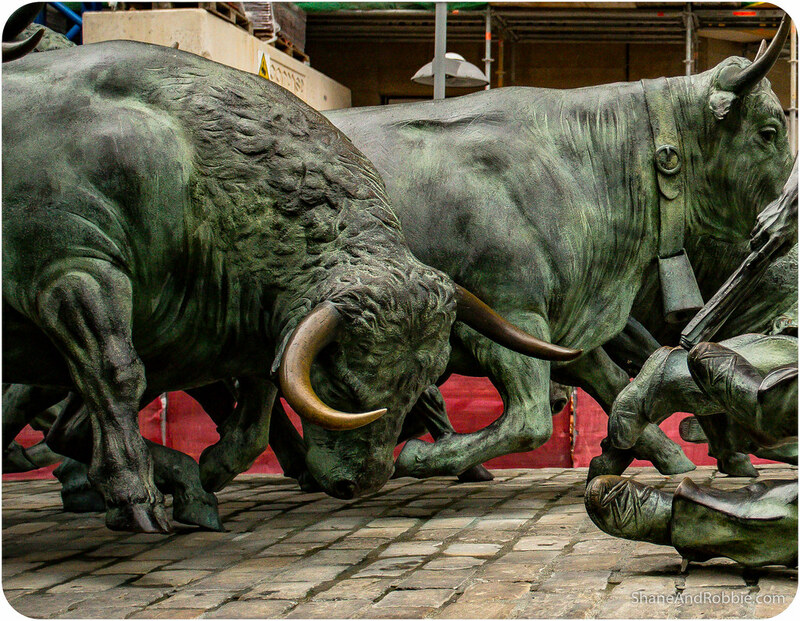 Held in July, the annual San Fermin Festival involves dozen or so bulls being released into the streets of Pamplona and herded towards the city’s central arena. Along the way brave (or suicidal, depending on your perspective) youths run before the bulls, intent on making it into the Plaza de Toros just in front of the animals without getting themselves killed or gored in the process. 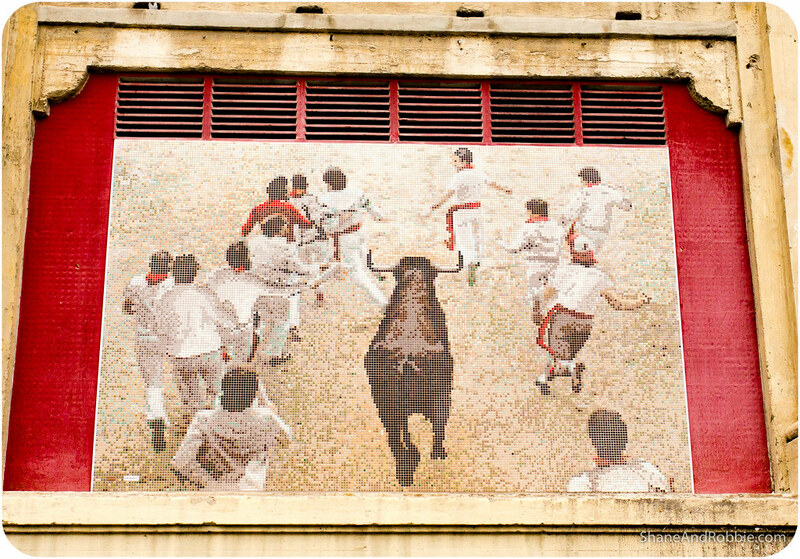 The bulls run along a set route which is marked out with red signs and are then killed as part of a bull fighting exhibition held in the arena after the run. It’s a bloody and cruel sport to our mind, and in all honesty we’re glad to have missed the festival. Fermin is said to have been the son of a Roman of Senator who was converted to Christianity in Pamplona in the 3rd century AD. Fermin was ordained a priest and returned to Pamplona as its first bishop. He was canonised upon his death and is said to have met his end by being dragged through the streets with angry bulls running after him, hence the tradition. 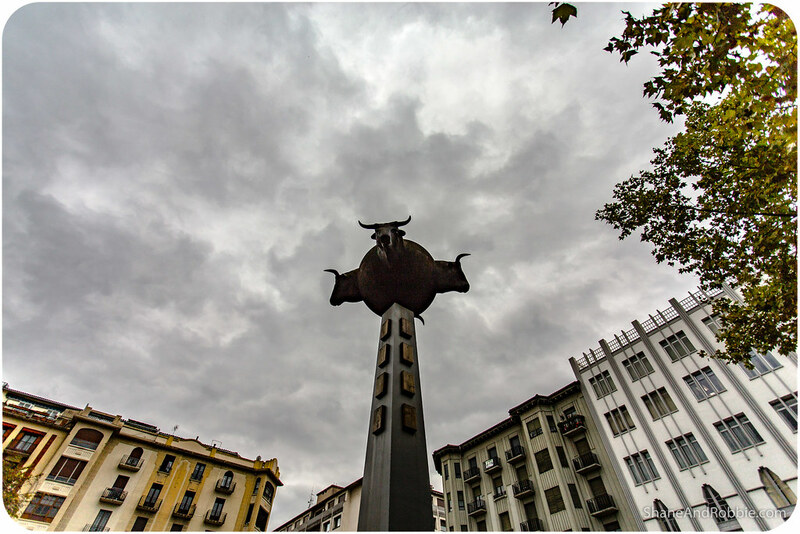 Whatever our opinions on the Running of the Bulls, there’s no doubt it plays a major role in Pamplona’s heritage – there is even a large monument in the centre of town dedicated to the daily Running of the Bulls event. 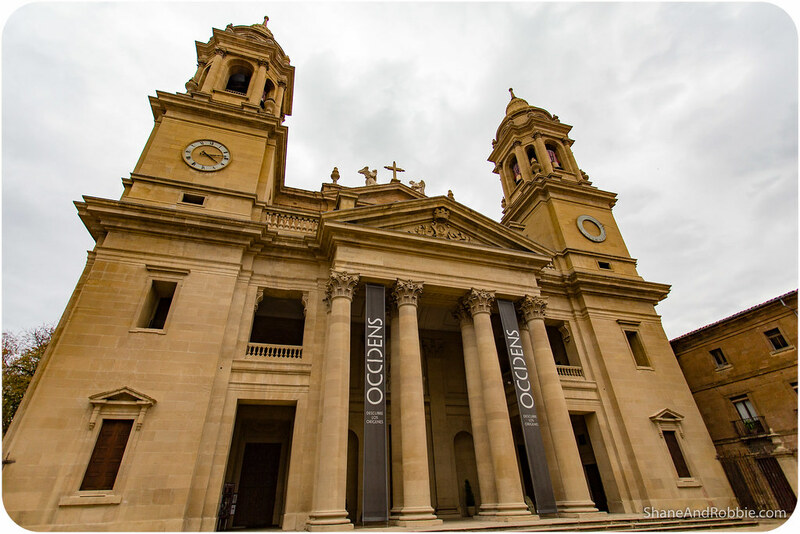 The other things that is evidently an important part of the city’s cultural heritage is the Camino de Santiago, or Way of St James. For over 1,000 years pilgrims have been making the trek to the Great Cathedral of Santiago de Compostela in Galicia in North-Western Spain, where tradition has it that the remains of St James are buried. 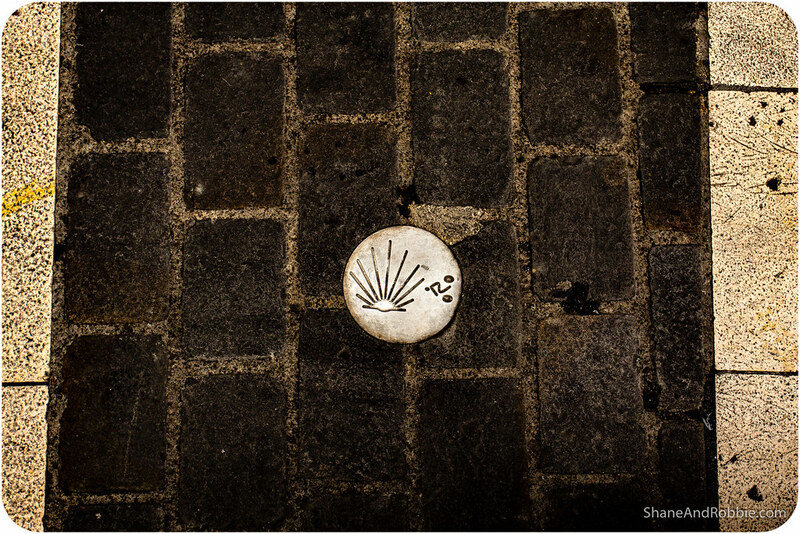 These pilgrims pass through Pamplona on their way – we could see the scallop shell used to represent the Camino emblazoned all over town, showing pilgrims the route they should walk and advertising where they might find rest and refuge. The Way of St James was one of the most important Christian pilgrimages during the Middle Ages; however, the Black Death, the Protestant Reformation, and war and political unrest in Europe led to its decline. By the 1980s, only a few pilgrims travelled the route. 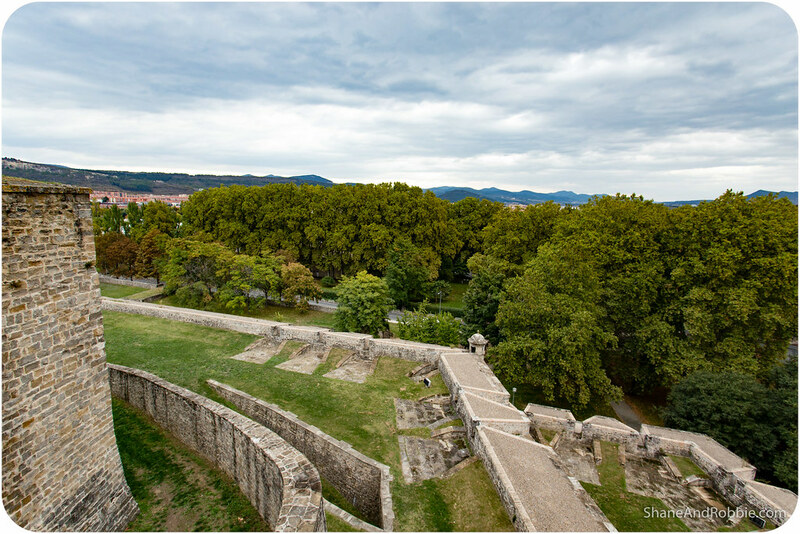 This all changed in 1987 when the route was named one of UNESCO’s World Heritage Sites. Since then an increasing number* of modern-day “pilgrims” travel the route – some for the traditional religious reasons, some for fitness, some for adventure, and some to find some spiritual resolve. 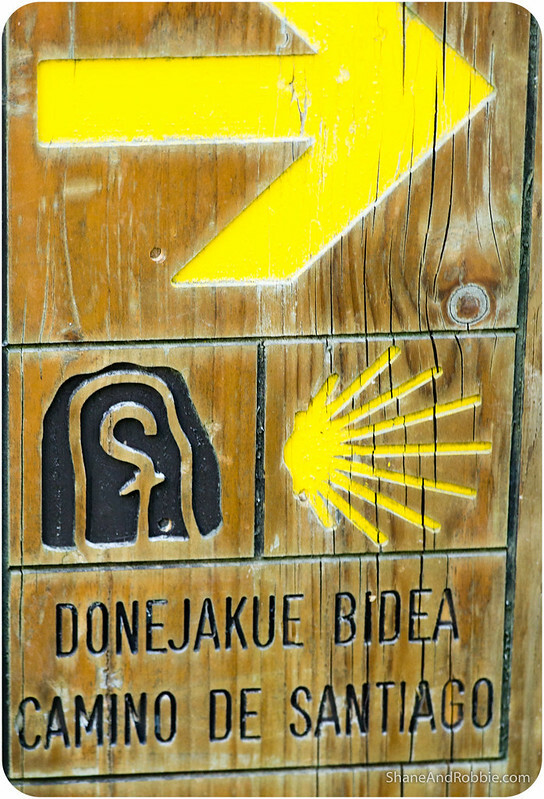 *More than 200,000 people completed the Camino last year alone. My brother did the Camino a few years ago and it was his photos and tales that first made us want to visit this part of Spain. We’re not walking the trail, but are more or less following the route in our travels over the next week or so. 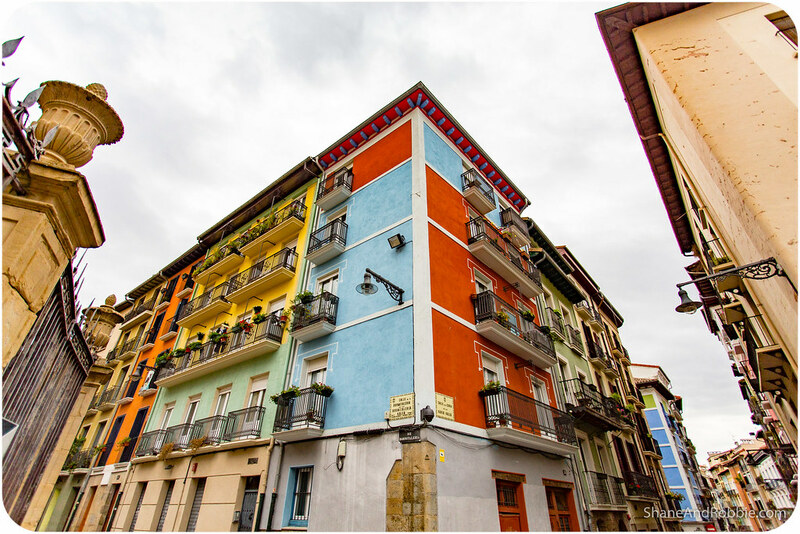 If the scenery, towns and villages along the way are as relaxed and beautiful as Pamplona, it’ll be a good week, that’s for sure!